I started soaping again just for family.. But my father suggested that I should show my „art“ at a local crafts fair. So that’s what I’ll be doing next week! 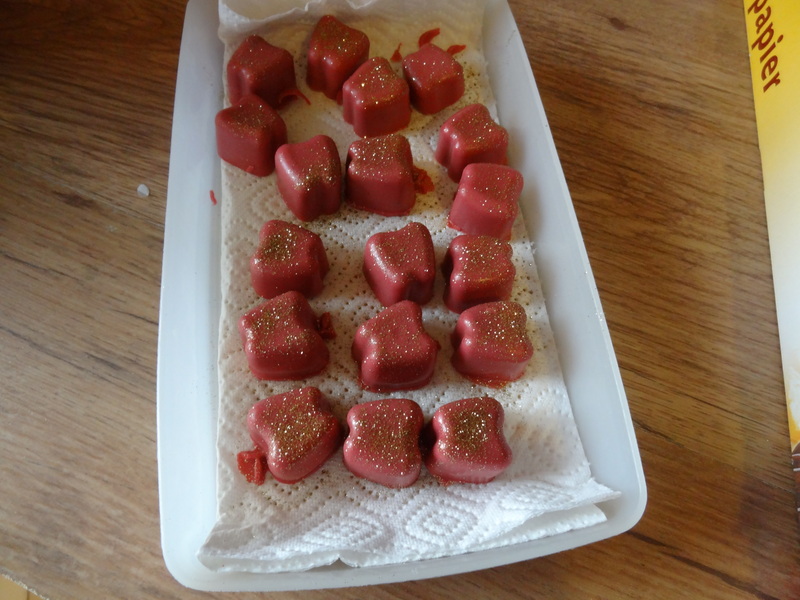 Some embeds for my apple/cinnamon soap. Used an apple-shaped ice cube tray for these. I used high quality soy-free M&P for these. 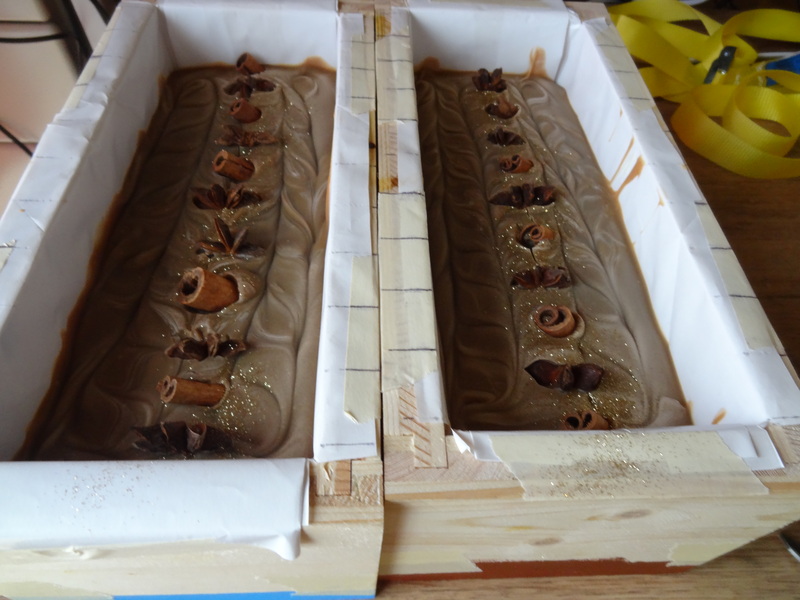 My chocolate lebkuchen soap. still in the mold. Cutting it proved to be a bit of a challenge. Maybe I should’ve put those decorative pieces in straight.. ;) .. Cold Process. 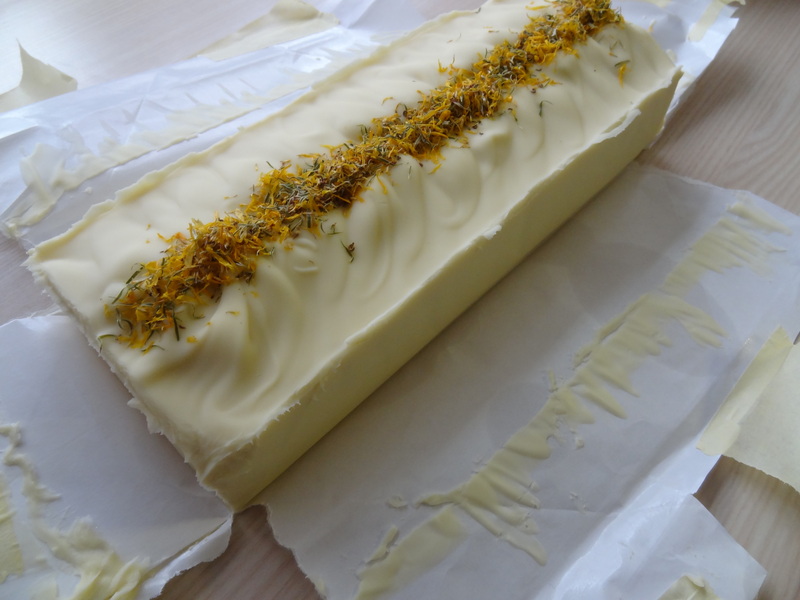 My calendula facial soap! Cold Process. 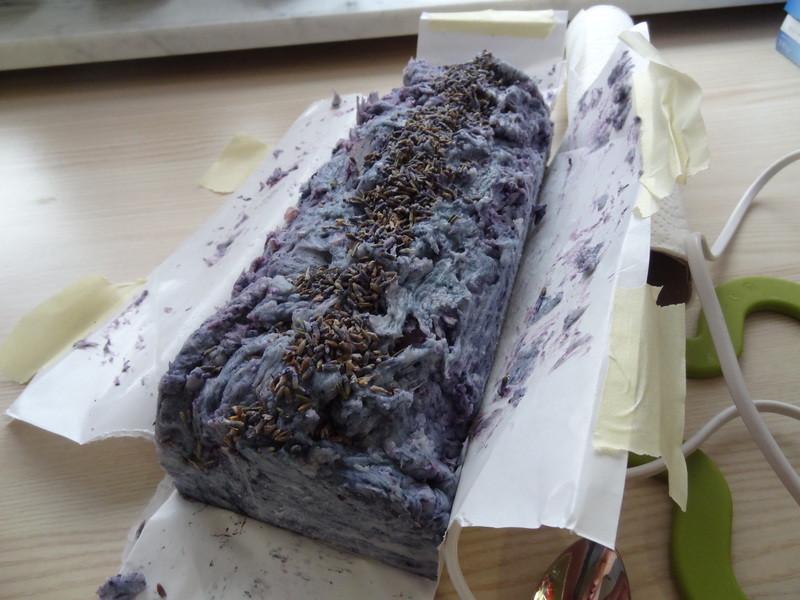 My lavender soap. Using plain lavender was a bit boring, so I crafted a „perfume“ with base and top notes around it, using essential oils. 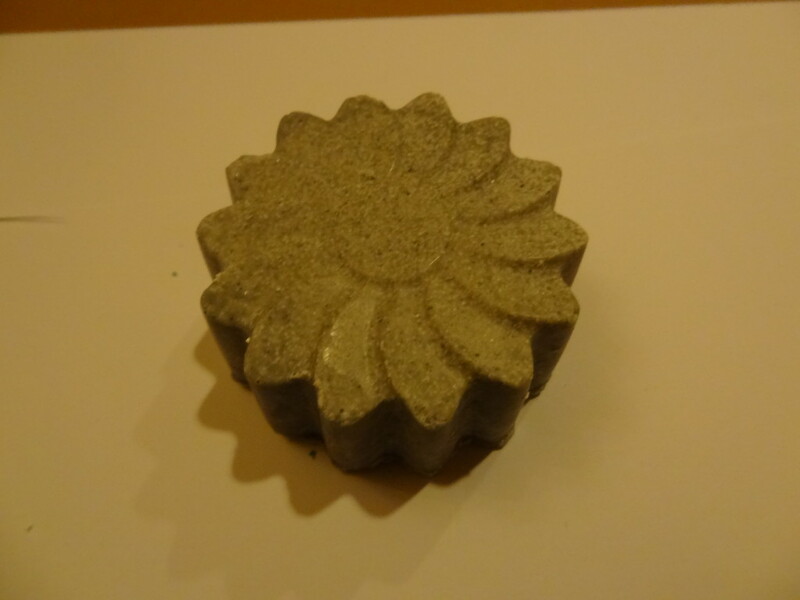 It contains a tad of patchouli and geranium, other than lavender and lavandine. Hot Process. The color did a very funky thing during cooking. First grey, then very greenish, now almost too violet. 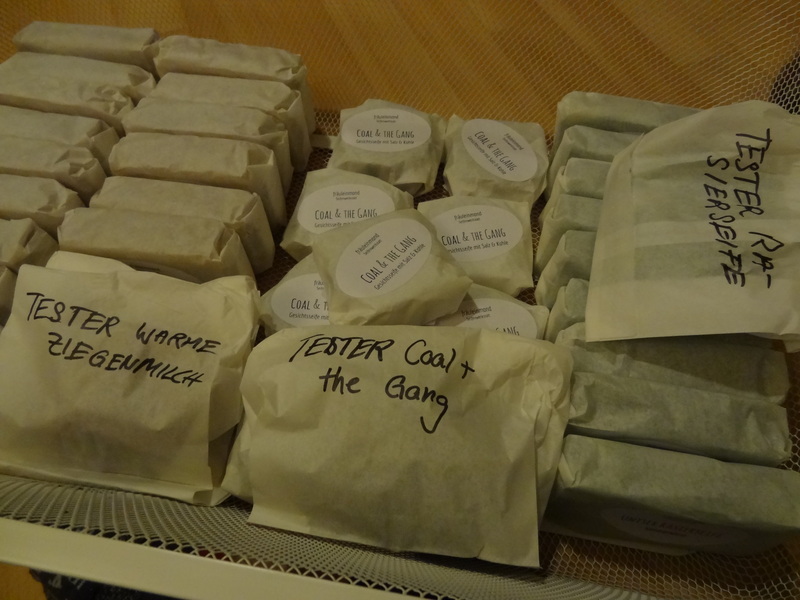 And my only individually poured soap is the „Coal & the Gang“ facial soap with sage tea, activated charcoal, sea salt and other goodies. This one I dubbed „aleppo style“, since it contains only olive oil and fat laurel extract. Still on the curing rack for a couple more months.. Castile soap just takes that long. Hot Process. 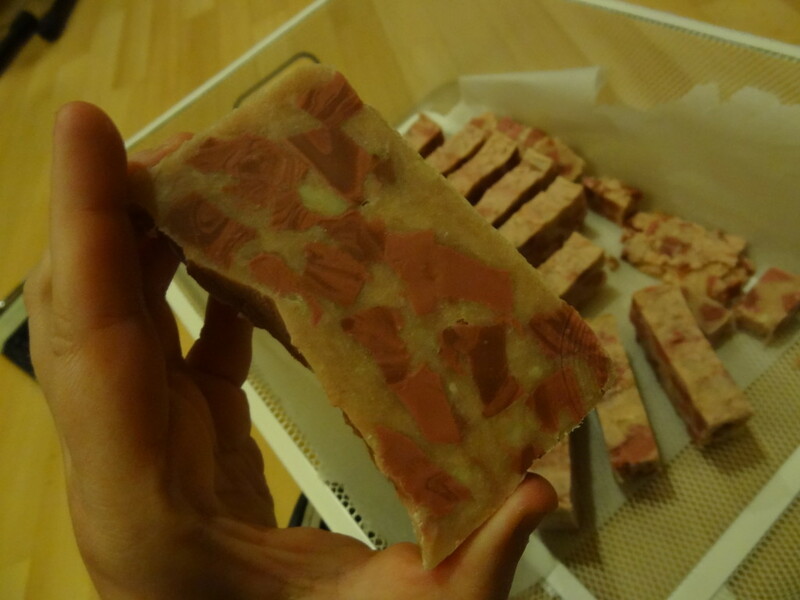 This one is my rose hips’ter soap, containg rose hip oil. 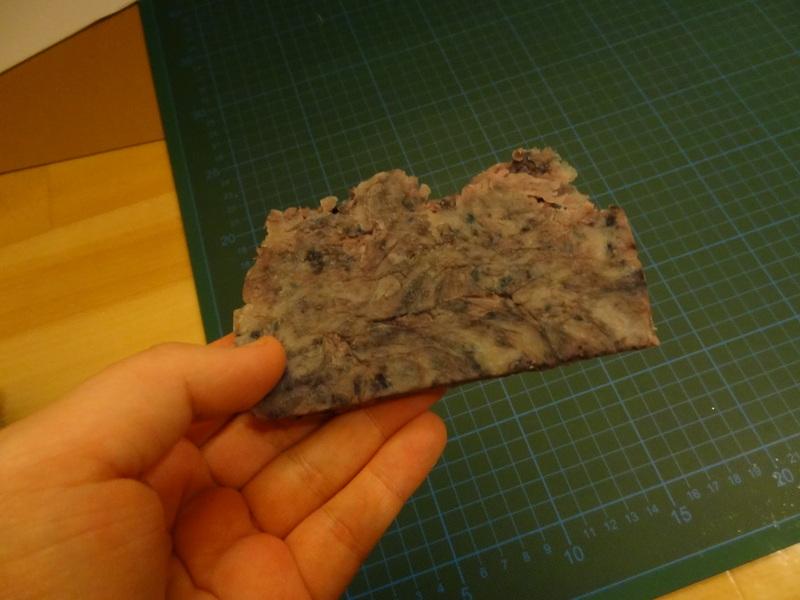 I did the recipe as cold process a while ago but wasn’t happy with the way the colors turned out. 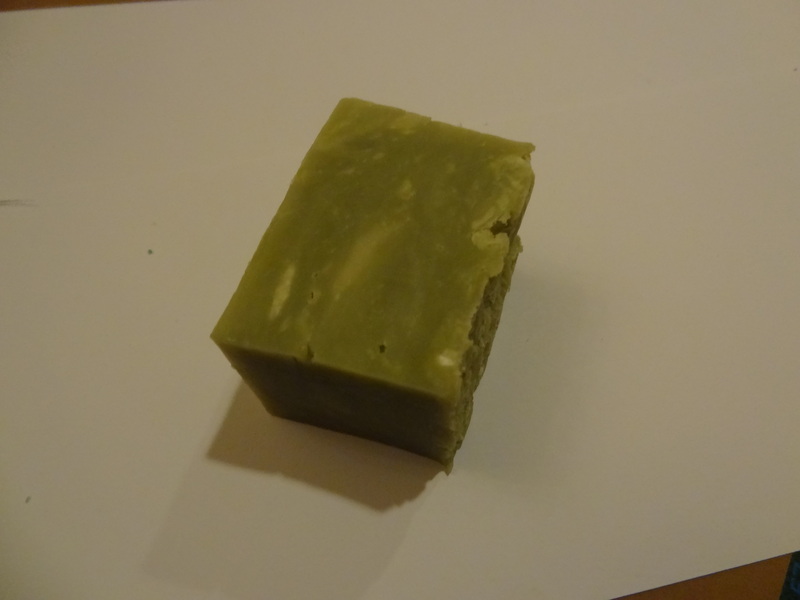 So I cubed that batch up and added it to a batch of the same soap that I HP’d. Since the colors of the CP cubes were very intense I just added some rose clay to the HP batch. It’s a very nice shade of rose, which you can’t really tell in that picture. 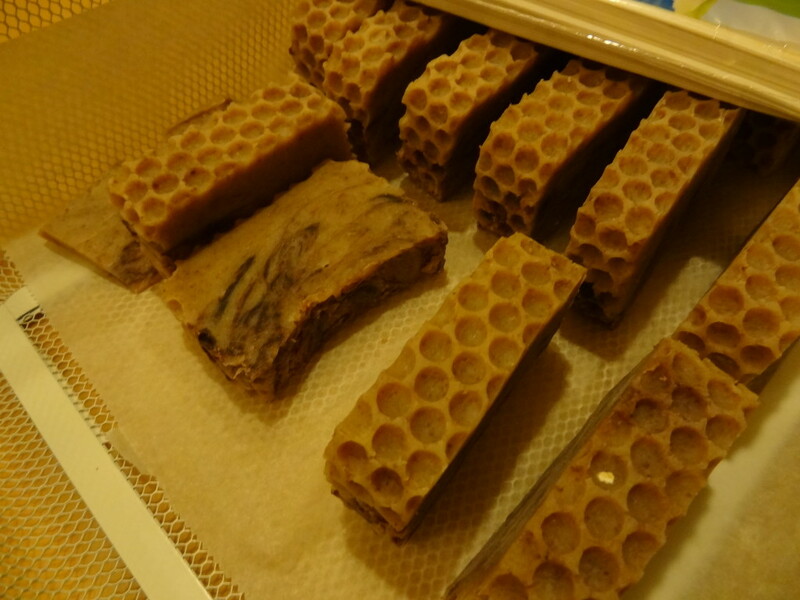 And the Goat Milk/Honey/Oatmeal soap.. Mum loves the smell. And some of the soap already wrapped.